Happy Easter everyone! 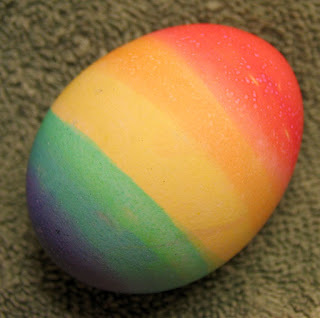 This picture is of an Easter egg I created with the help of my nephews while trying to demonstrate to them how to make a multi-colored egg. Looking at this egg, reminds one of the age old conundrum, "Which came first the chicken or the egg?" Well, this link goes to the Live Science website with a story entitled, "Which Came First? Eggs Before Chickens, Scientists Now Say" by Jeanna Bryner. It discusses the research of Francois Therrien, curator of dinosaur paleoecology at the Royal Tyrrell Museum in Alberta, Canada and Darla Zelenitsky, a paleontologist of the University of Calgary in Alberta. They studied a fossilized nest of eggs of small theropods. 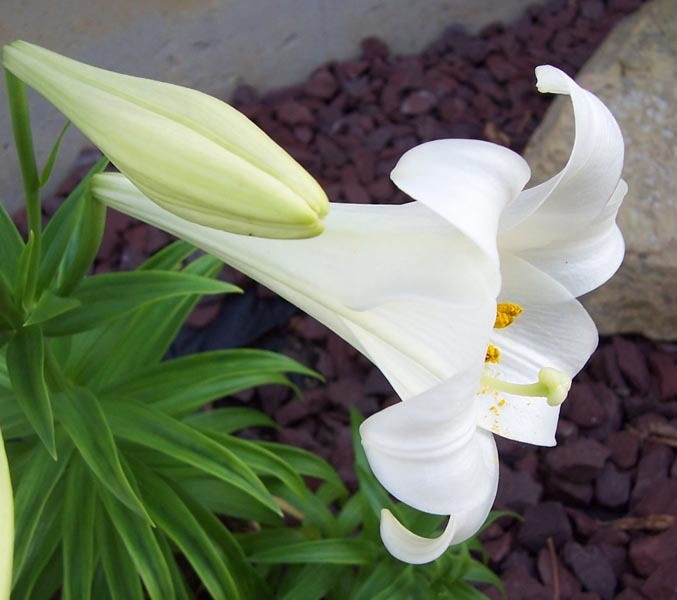 Picture of an Easter lily growing in our flower garden in Louisville, Kentucky in a past growing season.